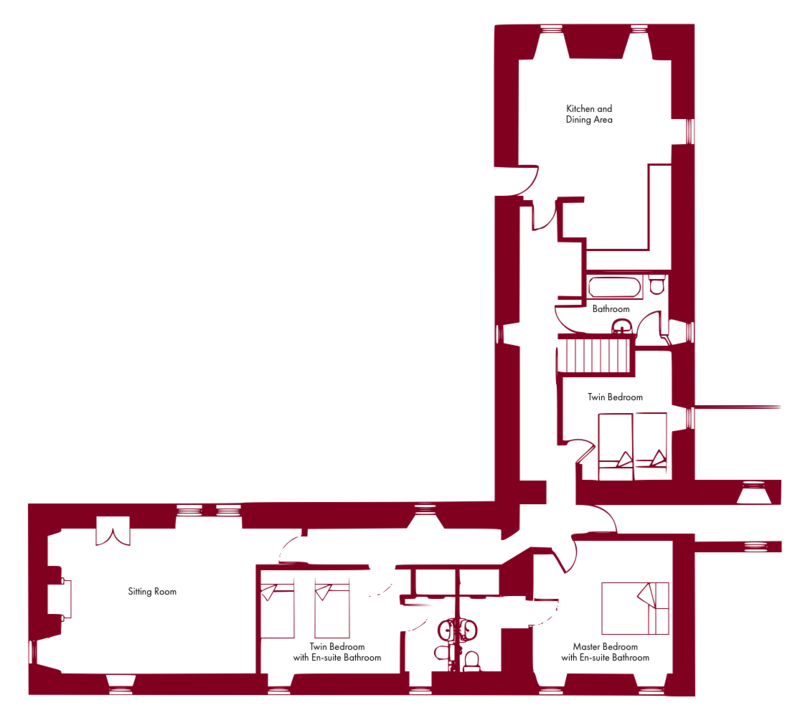 Langskaill Self-Catering Apartment is situated on the first floor of the north wing of Skaill House. It is a large, spacious apartment with stunning views across Skaill Bay and Skaill Loch. Langskaill is a three bedroom apartment, sleeping six people, and is ideal for families. It enjoys private use of the ‘Long Room’, a large hall with table tennis, snooker, and plenty of room for children to play. Langskaill comprises of two king size bedrooms (one which can also be a twin if preferred), each with a brand new en-suite shower room. There is a further twin bedroom and an additional, newly refitted main bathroom, with a bath and shower (over bath). 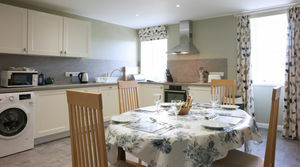 The apartment also has a spacious sitting room, and a new fully fitted kitchen/Diner with integrated ‘Neff’ appliances. Fairtrade and Organic bed linen, new high quality carpets, and tasteful soft furnishings throughout, complete the high standard and comfort of this unique four star accommodation within the beautiful and unique setting of the grounds of Skaill House and backdrop of Skara Brae. Guests of langskaill have access to a shared Conservatory seating area, and shared gardens and Courtyard. The views from the Apartment across to Skara Brae, The Bay of Skaill, and the Loch of Skaill are among the most beautiful views in Orkney and a reason in itself to stay with us. Prices are per week and inclusive of VAT. A 50% deposit is required on booking, with the balance to be paid 4 weeks prior to your stay. Shorter breaks may be available and a price will be given upon request. To discuss your requirements further please contact us and we will be happy to assist. ReadmoreFind out more about Peerieskaill Apartment.